Nexpatriates - the next expatriates: Whispers of Early Retirement?? Nexpatriates is a site for and about Americans considering a move abroad. Whether it's for retirement, adventure or escape from Trumpland, nexpatriates are looking for change. Please add your comments! I like the fact that Frank and I are talking through plans for Portugal 2018. I don't want to think about it too much but if I could retire this June instead of waiting until next year because of a buyout, we could make it work early in 2018. Maybe Frank's birthday? I really want to look into teaching English but also wondering if we could start a tour business or maybe a video production business. 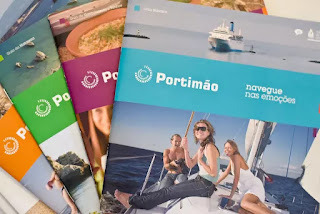 I've been looking into the town of Portimao. It's probably the second or third largest town along the coast and it seems like the right size for us. It even has a gay bar, so that's a plus! We saw some apartments that were incredibly cheap but the price we saw was probably the low season price. Of course, we may only be there for the low season if we leave in February. Or do we want to lock in a year lease? I'm thinking we go and rent something small the first week or two and then we will try to determine how long we even want to stay there. Will it be six months or will it be a year or more? So if this early retirement offer does happen this year we will really be cranking our timeline up quite a bit. In fact I had been toying with the idea of waiting until December 2018 to retire instead of June 2018. It's a lot to plan in just one year but as I told Frank last night I moved to Spain with less than six months preparations, so it can be done! In 1992, in part due to the First Bush Iraq War, I decided to leave a comfortable job in Michigan and move to Malaga, Spain. Since we visited Belize in 2008, Frank and I have been itching to hit the road. This year, we're pulling the trigger! Portimao, Portugal, here we come! "If you don’t stand for something, you might fall for anything."